Clogging is an American folk dance. It resembles the Irish toe dancing seen in "Riverdance", but the form is much less rigid. It is making rhythmic tapping sounds with the feet. Special shoes are used to emphasize the tapping sounds. These usually are soft leather shoes with hard soles and attached metal taps. The taps are similar to tap dancing taps but there are two taps on both the font and back. They swivel back and forth to give extra sound than what tap shoes have. Clogging is influenced by many of the European dance forms, as well as Canadian step dancing. It is done to almost any kind of upbeat music. 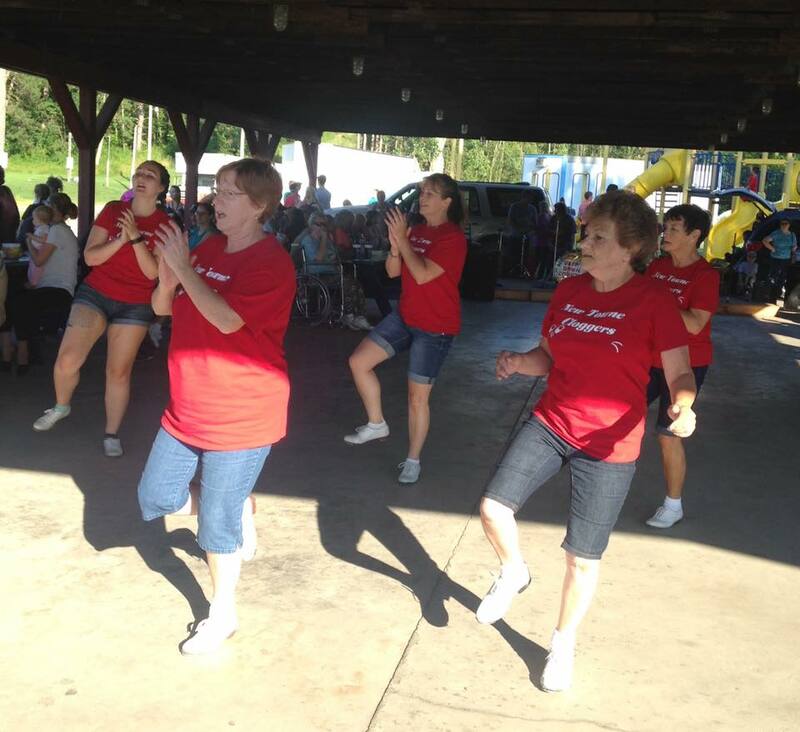 Country and traditional bluegrass music are the most popular, but cloggers today also dance to oldies, pop, rap, hip-hop, anything with a fast beat. Clogging is becoming more and more popular. Today, workshops are held almost every weekend for cloggers, group directors, and anyone who loves to clog. Instructors from around the world teach their original clogging routines at these workshops. Clogging has become so popular that it has spread not only throughout the U.S. and Canada, but also to many countries in Europe, to Australia, and even to Japan. and is great for weight loss (burns around 400 calories per hour). As you can see, clogging provides a great aerobic workout.